What is the Florida Man Challenge and How Did the Florida Man Challenge Get Started? 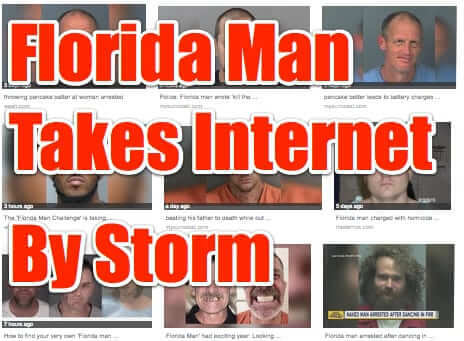 You may recently have heard about the ‘Florida Man Challenge’ – where you Google the phrase ‘florida man’ followed by the date of your birthday. Or maybe you saw a friend post it on Facebook, Twitter, Instagram, or elsewhere. And now you are wondering what it is and how the Florida Man Challenge got started. Here are the answers to the questions that you have about Florida Man, and the Florida Man Challenge.